This Old Established and First Class Hotel is situate in Sackville-street, one of the finest thoroughfares in the world. 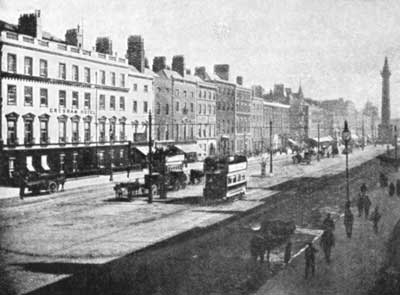 Many improvements have of late been made—Electric Light, &c. Visitors to Dublin will find their Requirements catered for at the Gresham in a manner unsurpassed by any Hotel in the City. No efforts are spared to ensure in every possible way the comfort of its Patrons.